Virtual reality and live-stream videos are hot right now and YouTube doesn't want to be left out of the game. The Google-owned video-sharing website announced today that it is launching live streaming of 360-degree videos - you know, those videos where you can see all around, as well as up and down, in the scene. The company also is unveiling spatial audio for on-demand YouTube videos, giving users a sense of distance, depth and intensity of sound. 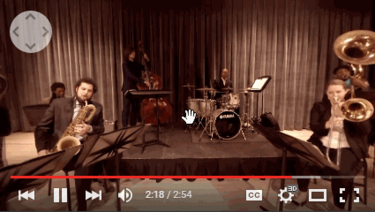 YouTube today announced live streaming 360-degree video, as well as spatial audio. "Whether it's a sporting event or a concert or even a family gathering, all of us have had the feeling of wanting to be somewhere we couldn't," wrote Neal Mohan, YouTube's chief product officer, wrote in a blog post. "But these days, virtual reality and 360-degree video can help get you one step closer to actually being at those places and in those moments. 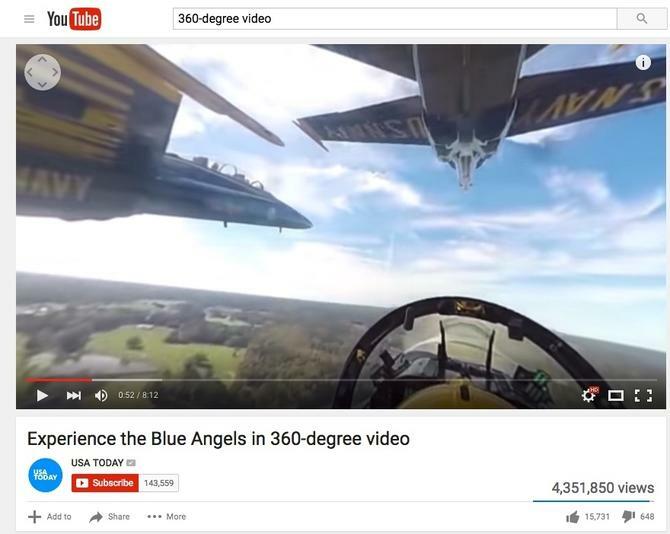 Today, we're taking immersive video even further with 360-degree live streaming on YouTube." Viewers can watch the live stream and 360-degree videos on a tablets, desktop computers or smartphones -- either Apple's iPhones or phones powered by Google's Android. To get the full-on VR effect, you'll need to watch through a virtual-reality headset, like Google's dirt-cheap Cardboard goggles. Cardboard is made of cardboard, which users fold into a headset to hold a phone running the video. YouTube's move follows those of other tech industry giants. Google has its Cardboard virtual reality goggles. Facebook has Oculus Rift, which the company inherited after buying the virtual reality company for upwards of $2 billion. At Facebook's F8 developer conference last week, Yaser Sheikh, a Facebook Oculus VR researcher and associate professor at Carnegie Mellon University, told a keynote audience that the future of social networking will be focused on social VR. "We are still in the very early days of marketing virtual reality," said Jeff Kagan, an independent industry analyst. "That means it's important for all the players to stick their flag in the ground as one of the first in the space. This is YouTube putting its flag in the ground." For something that could grow quickly, today's big tech players need to get onboard now so they're not left behind. "If they do this, they will remain one of the early leaders," noted Kagan. "If they don't do things like this, they could fade away and be replaced by other leaders." Rob Enderle, an analyst with the Enderle Group, said the YouTube announcement is good news for virtual reality users since there really isn't a lot of content available yet. "Live video is a very quick way to generate content, showcase the value of the platform, and provide an experience far closer to actually being there," he added. "This makes YouTube a stronger destination for those that have early VR gear and are in search of content."